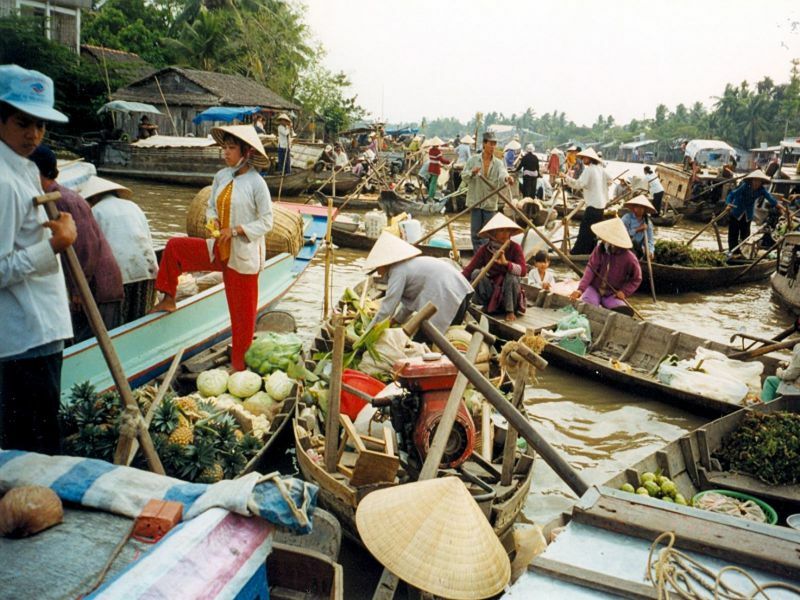 Passengers on Authentic Mekong will be amazed and integrated into their discovery of landscapes, of local daily life, of smiling and open hearted people of the Delta and of aquatic life anywhere they go with the sampan. 08:00: Pick you up from the hotel in District 1, Ho Chi Minh City. 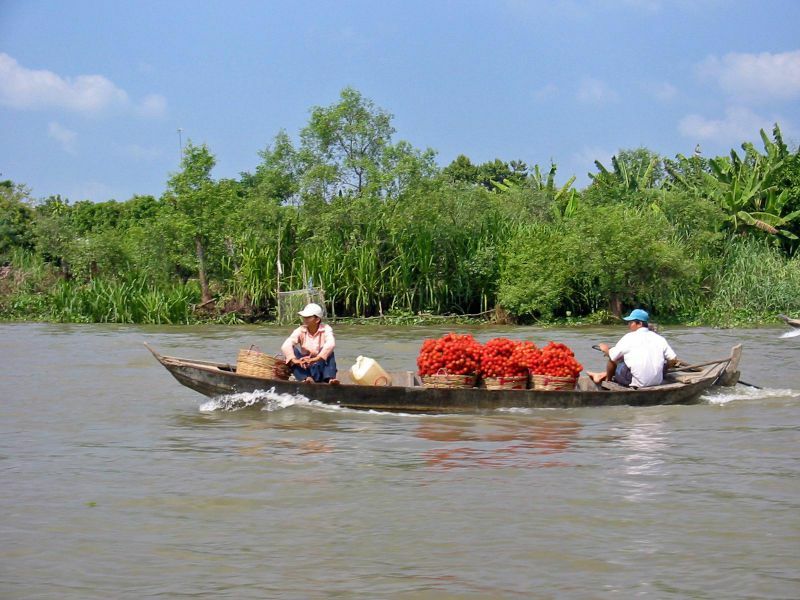 10:30-11:00: Reach the banks of the Mekong Delta in Cai Be.You embark on Le Cochinchine with a welcome drink. 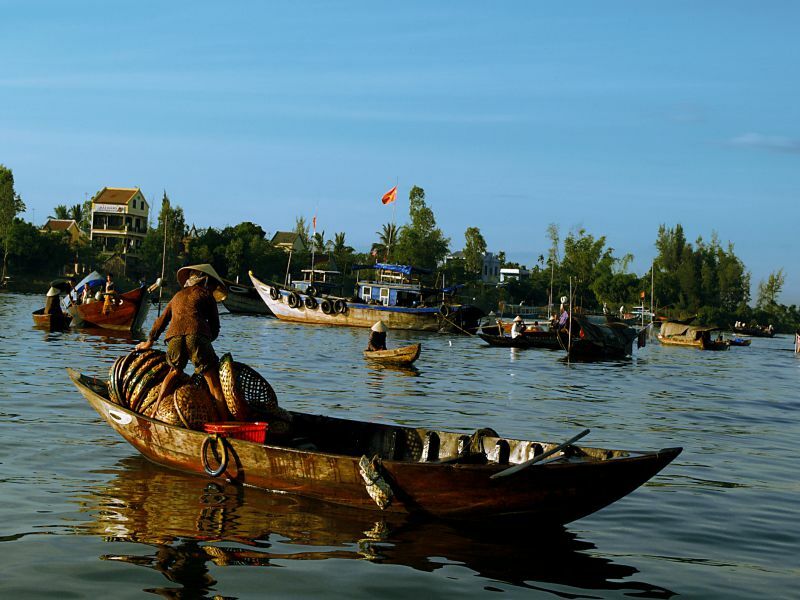 We take a morning junk trip to Dong Hoa Hiep Island and go ashore to visit the French Gothic Cathedral and colorful port area, with its colonial buildings, delightful flower gardens and local coconut candy and rice paper manufacturers. The Le Cochinchine sets sails through the canals of Lap Vo with a magnificent landscape that come along the river banks: rural walks, farming, nurse ring farm, fishing, and boating, smiling school children all in full swing. Have lunch on the boat. Visit the Sa Dec local market, following the tracks of French novelist Marguerite Duras. Walks/ Cycle amongst the ever blossoming Sa Dec flower village and local industries. Visit bricks and tiles kilns and the manufacture of earthenware pots on a bank of the river. 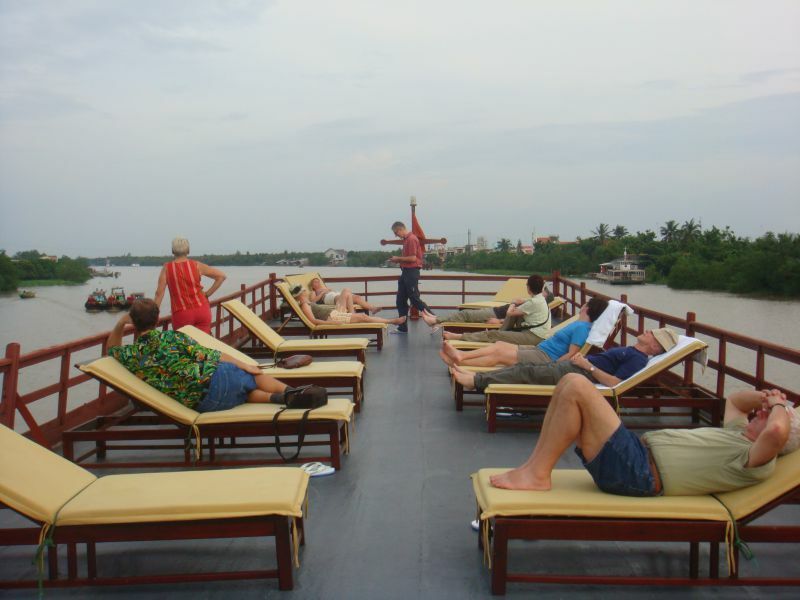 Enjoy a traditional herbal foot massage on the boat. Diner and while Le Cochinchine cruises towards Long Xuyen for the night. Rising up early for another nice day to contemplate sunrise while having breakfast on board. Visit Ong Ho Island and enjoy the scenery and walk/ cycle to visit villages the island, passing by farmers, children, and villagers tendering their daily load. 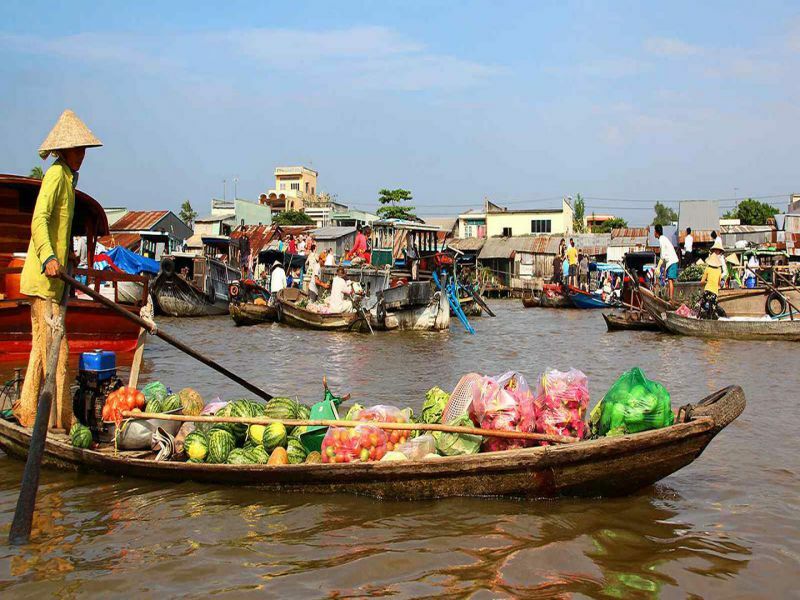 See local farmers trading their produce on the water as they have done for centuries. 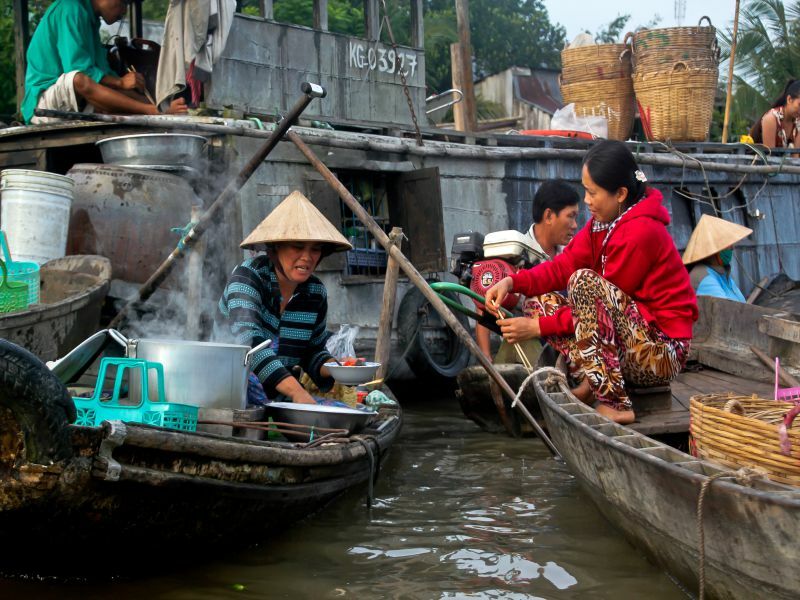 You will have a unique opportunity to discover a side of Delta life that few travelers experience. Back to the board and have the welcome back the drink. 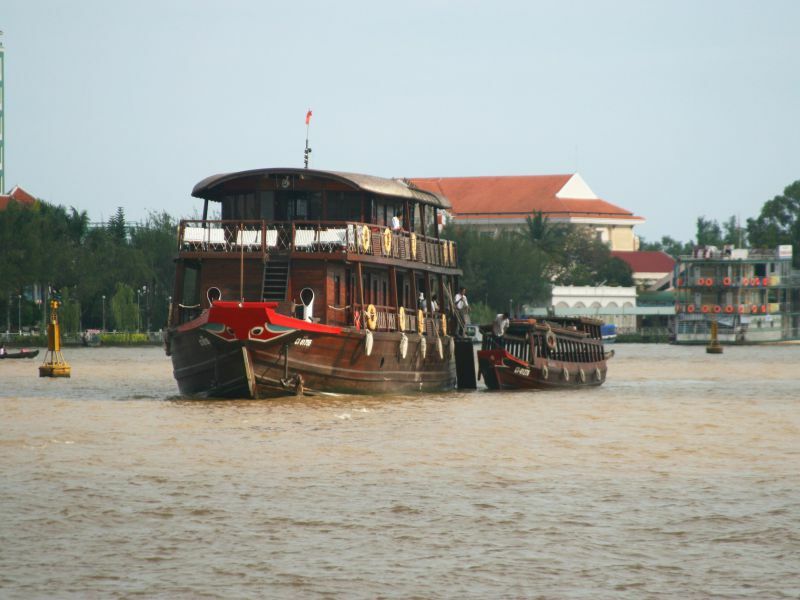 Check out and disembark for your departure back to the hotel in Ho Chi Minh City. 2-day cruise with stops and visits as stated accompanied by English and or/ French speaking guide, 1-night en-suited cabin with A/C on board. Program are subject to change due to unpredictable events such as the vagaries of the weather and tide variations. 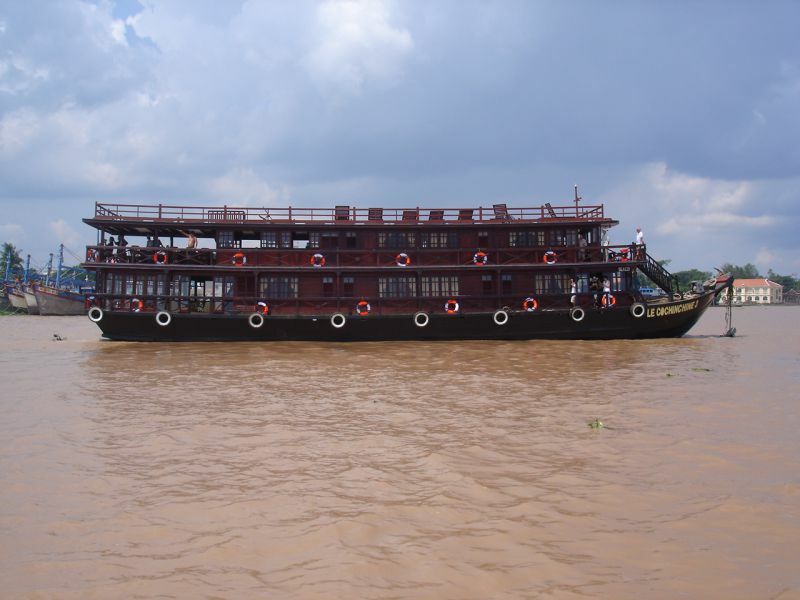 Authentic Mekong sampan is designed according to the traditional sampans which have navigated on the Mekong flows. Long of 21.5 m and wide of 4 m , made of ‘’Sao’’ wood, a variety of oak, very resistant to water, well appreciated by people who spend all their life working and living on the water. 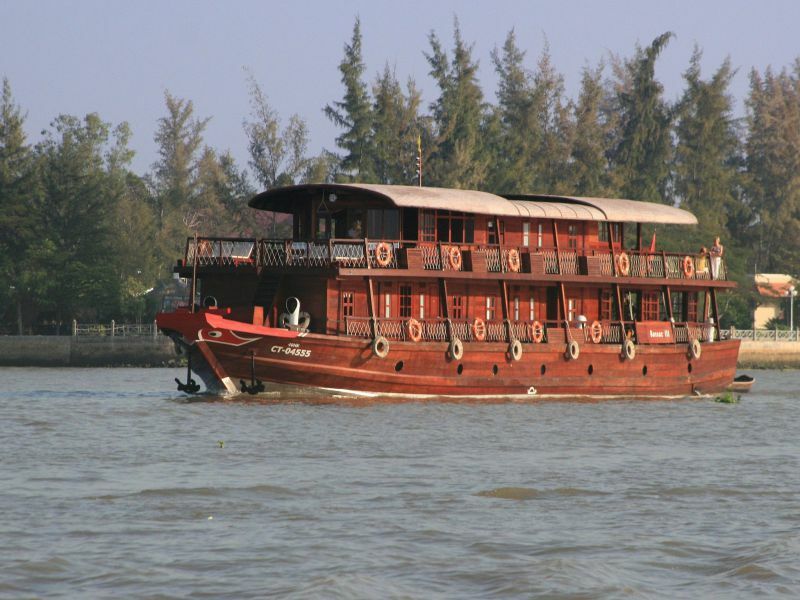 For a pleasant and long cruise in comfortable conditions, the sampan is equipped with a well-ventilated compartment which could be used as a dinner room as well as bedroom with couchettes available for group of 2 to 30 persons maximum; besides one kitchen, three restrooms with showers, one terrace on the deck, a five- person- crew included the captain, one mechanic, the chief cook, one sailor and one guide, are at your service .